Finding and keeping qualified drivers is important for the health and success of any trucking company. Creating security, loyalty, and respect go a long way toward building a positive company culture. Holding on to safe and diligent employees provides the ability for carriers to grow with experienced personnel. Retaining drivers is essential for the present, but also for the future. Employment of heavy and tractor-trailer truck drivers is projected to grow substantially though 2024, and though turnover is on the decline in the trucking industry, there are still many truck driving job opportunities to be filled. Trucking companies are working hard to ensure that the positive trend of low turnover is one that stays, as well as a trend that is beneficial to drivers. Money does matter. Annual employee driver compensation varies among carrier and trailer types and even the type of goods that are hauled. 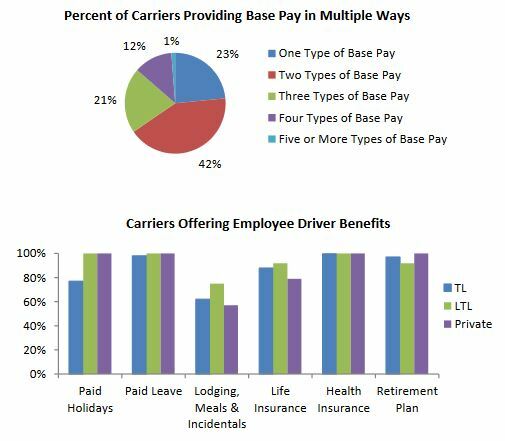 Mileage-base pay packages are common, but 75% of trucking fleets pay drivers in multiple ways. The most frequent approach taken by a carrier utilizing two base monetary compensation methods was compensation by mileage and by the hour. Some carriers, in an attempt to keep a full staff, also offer bonus programs. Signing bonuses are common, similar to a sports team, although the trucking bonus programs usually award the bonus in installments to assure the driver stays with the company. Some carriers install bonus incentives for every six months on the job to keep drivers working for their company. Others have a pay-for-performance bonus program that encourages efficiency on the roads. Monetary rewards are fine, but they are almost always short-lived. Furthermore, rewarding drivers with pay will also depend greatly on the area of the country – drivers in California may expect more for the cost of living than Iowa drivers, for example. Money aside, there are other effective ways to inspire and encourage truck drivers. Added incentives help retain drivers. It may seem challenging to find ways to motivate employees who are always on the move. Truck drivers often do not have a traditional office and so some of the typical reward programs may not make sense for these long haulers. Everyone likes to be recognized for a job well done, and the accomplishments take on an added meaning when they are visible. The motivation increases when the tribute is public, such as when it is delivered in front of peers or congratulatory letters are posted for others to see. Even a patch that is sewn onto a driver’s uniform identifying their hard work can be a powerful incentive and act as a lasting reminder. 19% of Respondents surveyed cited scheduling reasons including home time and hours worked. 17% of workers left a company due to management or environmental reasons like politics, leadership, and recognition. 15% of drivers expressed dissatisfaction with the routes themselves, including dispatch and equipment issues. 13% of drivers left due to issues with policies, communication, or training needs. Showing appreciation for a trucking job well done doesn't have to be complicated. Many of the best incentives consider the total work environment. That includes not only a pay check but also benefits, work/ balance, professional development and more. A combination of public recognition, monetary and tangible rewards are usually the best way to motivate the largest number of drivers. It may seem that those who make a living from a trucker job miss out on some basic perks that other industries offer. However, research in recent years has revealed that nearly 80 percent of truckload fleets give drivers paid holidays off, and four of every five private carriers offer a 401(k) plan. Many go as far as offering health insurance, life insurance, and even retirement plans to help maintain the longevity of their drivers. All these opportunities for drivers combine to create loyalty to a carrier, whether that company is big or small. Many trucking companies in Texas, who come from a traditional and historical trucking perspective still offer these “standard” rewards. Safety on the road has enormous benefits for both the driver and the carrier. Rewarding this type of behavior with an incentive program is a win-win situation for both parties. By providing bonus programs for an accrued amount of safe miles driven, you will show your driving team how important safety is to the environment of a business. Many truckers will rise to the challenge which allows a fleet to benefit from the increased diligence of their drivers. The rewards for a safe driving program do not have to be strictly financial. A trucking company can offer tangible items such as company-branded jackets and hats, high-end watches, an engraved plaque for others to see, or comfort items for the road such as high-end pillows/mattresses/blankets. It is also a good idea to ask drivers for their input for the reward so they feel part of the process. It is important when developing these types of programs that you create a level playing field. Emphasize fairness by defining and clearly communicating the parameters. The criteria should be predetermined before the program begins and should be clear, measurable, and equal to all. All too often, managers and executives forget about those that stay behind while the driver is out working for the company. The trucking lifestyle places a lot of demands on the non-truck-driving partner. Think out of the box and acknowledge their sacrifices of the family in employee rewards programs. Wives and husbands lead the support system that keeps a driver going strong. When you reward them, your drivers will be more motivated to do well. Make these rewards substantial. Ideas include the latest high-tech gadget, a gift certificate for an extravagant dinner or tickets to a local theme park. Weekend getaways or trips to resorts are also a valuable incentive, but be careful not to go overboard.If you begin offering lavish vacations at a Florida resort as an incentive one year and then cut back the next year, it may do more harm than it does good. To fill open positions available for truck drivers in the United States, trucking companies of all sizes are continuously looking for more efficient and accurate ways to recruit truckers. Quite frequently, the answer may be right in front of a company – your current employees do network, after all. A company’s current drivers may just need an incentive to recommend or identify new drivers for your team. Installing a referral incentive program can be beneficial for both the driver and the managers.A satisfied current employee is your best recruiting tool. Remember to give some thought when developing this type of program. It is smart to put some boundaries and limits to guarantee the new referral sticks around for some time. You may want to designate that the incentive for a new referral is paid if the new hire stays on the job for a minimum of six months and takes on a specific amount of jobs. You don’t want a referral to become a new employee and then be gone after just a few runs. Gadgets and devices are constantly permeating into the trucking industry.These in-cab devices and mobile apps help reduce paperwork and time for the driver. However, many old-school drivers and even younger rookies need training in how to effectively use these devices. By providing incentive programs that add technology to trips and include education, the driver can become more efficient, spend less time on mundane tasks and enjoy their time on their road to a greater extent. Being on the road can take a toll on energy levels and overall health. A popular incentive program among drivers includes facilities and resources to help drivers become healthier. On-site gyms, exercise equipment in the truck, nutrition counseling, and health screenings are all gaining popularity among truck drivers.These types of opportunities also contribute to the longevity of the carrier’s driving team. Even a small trucking company can put a set of weights in the driver lounge or designate a small walking trail around the terminal to help motivate their drivers to keep up healthy habits. Incentives need to be given in a timely fashion and given as soon as possible following accomplishment or on a regular schedule (such as quarterly). A delay is presenting the incentive may create a feeling that the program is not being managed properly, which is detrimental to the entire process that you worked so hard to create. It is not uncommon that a trucking company will offer good driver programs, but does not relay the available opportunities to their staff. It does no good for incentive programs to be a secret. Be sure your drivers know about every chance to enjoy the additional awards offered. Maintaining quality relationships with your drivers is essential. Consider implementing annual reviews and pay increases, driver training programs and holding yearly meetings and surveys to obtain valuable input from your drivers about their jobs. It’s a fairly simple formula - happy drivers who feel respected don’t leave their companies. Good drivers value commitment and loyalty, and they want the same from an employer. Exceptional incentives have the potential of improving company culture, which is a huge factor in retention. 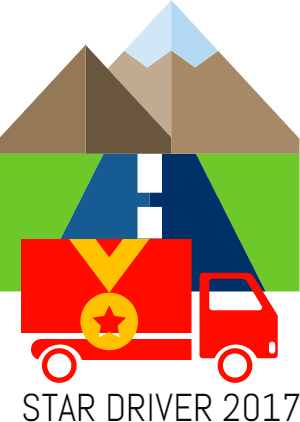 Overall, rewards demonstrate to drivers that they're wanted for the long haul.